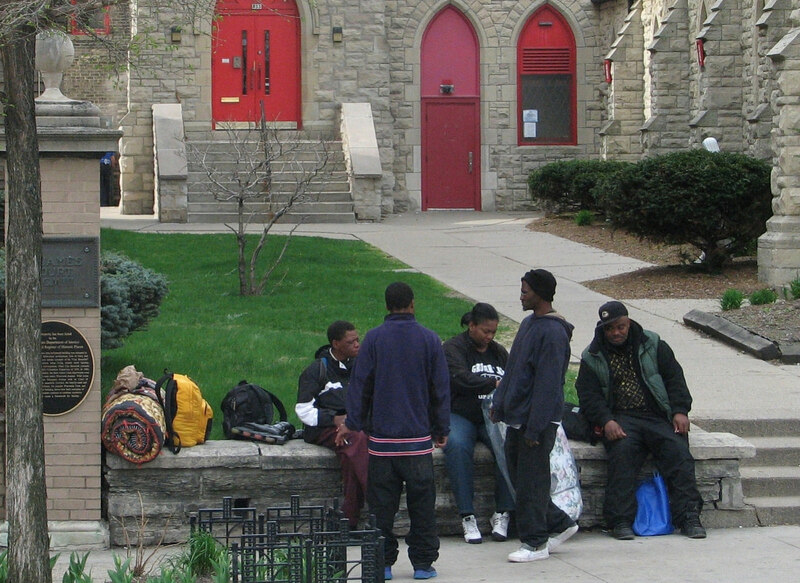 Homeless men in Milwaukee, until recently, needed to navigate a complicated network of homeless shelters with different schedules and requirements to get a bed each night. 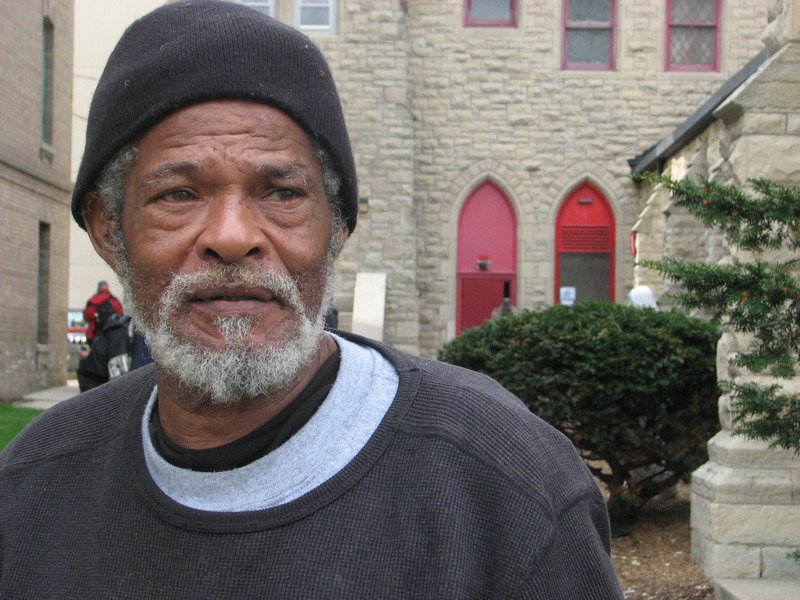 “If you have not been through it, you’re going to catch hell because you really don’t know where to go for help,” said Benny Barnes, a 64-year-old homeless man, as he mingled with friends outside of The Gathering, a daily meal program held at St. James Episcopal Church, 833 W. Wisconsin Ave. The process of getting a place to stay and much-needed services was streamlined recently when IMPACT 211, the area’s crisis hotline, expanded to include single homeless men and the shelters that serve them, such as Hope House, Guest House and the Salvation Army Emergency Lodge. Before the change, homeless men such as Barnes would have to learn the bureaucracy of the homeless shelters, such as what time of day is best to call each shelter to reserve a bed. For instance, individuals have to physically show up to the Guest House to get a bed, while other shelters required a phone call each day within a 15-minute window, according to Audra O’Connell, coordinated entry program director at IMPACT 211. Before the change, 211 operators could only give homeless men the phone numbers of homeless shelters without gathering any type of data from them. Now by simply dialing 211 or texting their zip code to 898-211, a homeless man is connected to a resource specialist who gathers demographic information and asks about their needs and their current living situation. “It real simplifies things for people. There’s one place and one number and it’s prioritized…which is how it should have always worked probably,” said Wendy Weckler, executive director of Hope House. With the information, the specialist assesses the individual’s situation and places the homeless man into a shelter or refers them to other services. “We prioritize them based on need and we place the neediest people first,” O’Connell said. The new system will be helpful, said Norvell Ireland, a 51-year-old unemployed cook, outside of St. James Episcopal Church after The Gathering morning meal. “Single homeless men in Milwaukee need more resources as far as housing and jobs, but a homeless man also needs to want to help himself,” he said. Another benefit of the 211 service expansion is that data will be collected on homeless men when they call searching for services. This information is valuable for shelters and advocates who want to better understand the homeless population and its needs instead of using anecdotal evidence, O’Connell said. Weckler said although homeless shelters and other agencies in Milwaukee have always worked well together, the expansion of the 211 system will create even more cooperation and collaboration. The coordinated entry system was made available to families in October 2013 and single women in January 2014. By the end of 2015, all of the city’s supportive and transitional housing, including those that specifically serve homeless veterans and unaccompanied youth, will run through the 211 system, O’Connell said. “The system ensures that the person who really needs that bed gets it and just isn’t the one lucky enough to call at the right time,” Weckler said. being taken for granted as renters I say – lots of addicts and mentally ill rent here, and give others hell. I never suspected this when moving here – I would pack and leave tomorrow when my change comes, and trust God, and know that he will provide for me and my friend. Also I know he will bring justice in the case, where I was unheard when pleading case to move from ill, stalking neighbor. If you can get access to a phone, you can call 2-1-1 and they can point you to help. There needs to be a way of accessing services online, when you don’t have access to a phone but just a computer. I am living with my mother, by force, none of the applications I’ve made to jobs of all stripes are being acknowledged and I’m being isolated. I’m living with my mother who is becoming so erratic in her behavior, I don’t know when or for how long I’ll have access to communications devices such as this computer at all and I’d like to get a head start getting to a shelter before I have no way of getting to one at all. Someone please help my son he is a 27 yr old homeless man in milwaukee.he is handicapped and has seizures and we can’t get anyone to help!